If you want to live the last night of the year as in a fairy tale then this is the place to be! Their Japanese Restaurant Kabuki Raw recently received 1 Michelin star. The restaurant El Jardin de Lutz offers an international menu for those interested in a more Mediterranean selection. The NYE event at Finca Cortesin dubbed “La Belle Époque” starts at 20:00 with live jazz music accompanied by champagne and canapes. 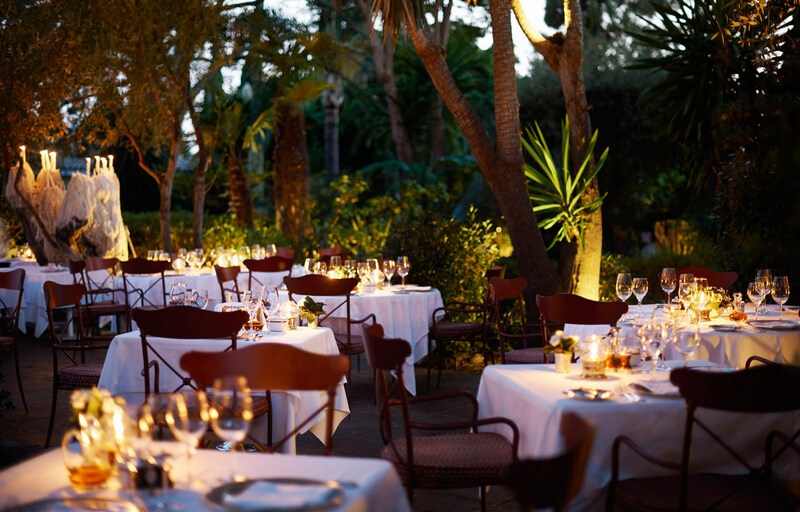 At 21:00 guests can enjoy a Gala Dinner at their restaurants El Jardin and Kabuki Raw. After the Gala dinner, the party moves to the Grand Ballroom where there will be live music from The Big Band. Price tag: 480 Euros per person. 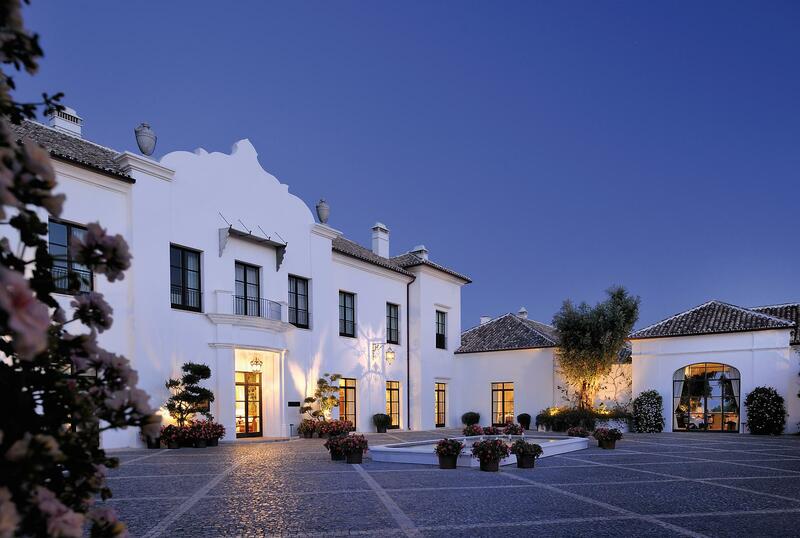 Book your stay at the Finca Cortesin. One of the top notch leading hotels on the Costa del Sol is getting ready to receive its customers into its luxurious residence located on the beach side just between Marbella and Puerto Banus. The recently opened the Six Senses Spa offers the highest quality services and relaxing treatments, from hammam to sauna and a whole range of bliss treatments. 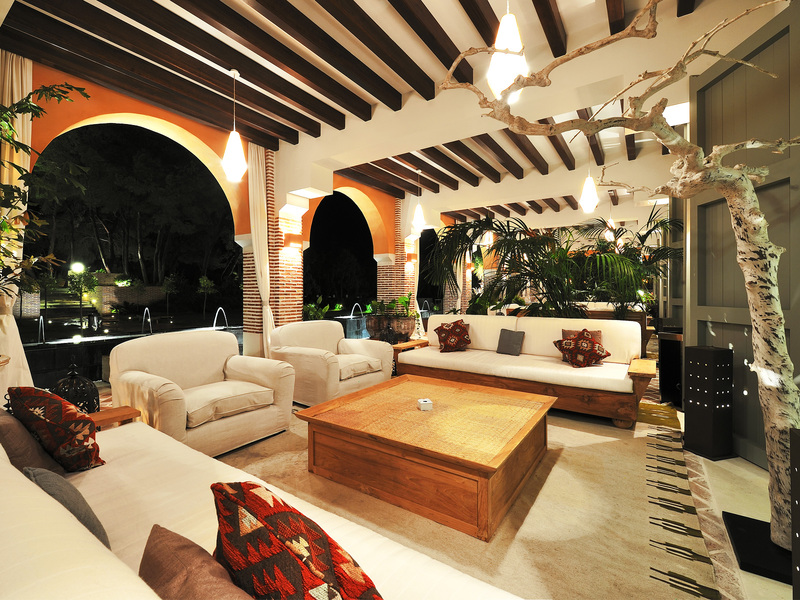 The luxury resort has 8 restaurants; one headed by 2 Michelin stars chef Dani Garcia. For NYE the beach Resort & Spa is holding a Special Gala Dinner with live music by Peet Rothwell interpreting songs from Michael Bublé, live video broadcast from Puerta del Sol in Madrid and of course the Spanish traditional 12 ‘lucky’ grapes and plenty of champagne. Book your stay at the Puente Romano Beach Resort Marbella. The recently renovated 5-star Don Carlos Resort & Spa is decorating the entire hotel just for this time of the year. Their venue is preparing to entertain the guests with a unique NYE dinner and party that will take you back to the good times: a Great Gatsby Party. Enough said. Book your stay The Oasis by Don Carlos Resort & Spa. The legendary Marbella Club Hotel is organizing a NYE event that promises to entertain. At 620 Euros per head, you can savour caviar and champagne and mingle with the high-class society. The Gala Dinner will be accompanied with live music by Claude Cohen Trio Jazz Ensemble. A must for the discerning traveler. 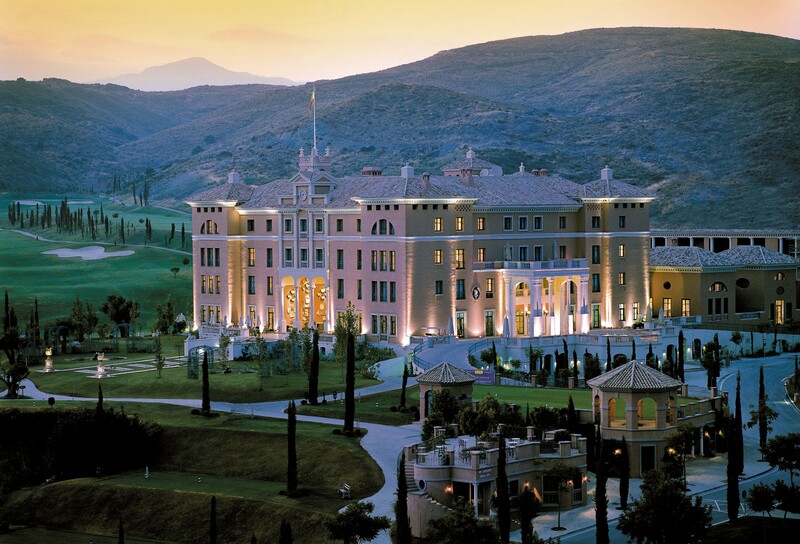 Book your stay at the Marbella Club Hotel Golf Resort & Spa. This beautiful 5-star Hotel has its charm and enjoys unique privacy. Located only 15 minutes away from Marbella, the Villa Padierna Palace and its team are getting in gear to create an unforgettable night for its guests this NYE. The dress code is black tie. The last night of the year will start with cocktails and champagne followed by a luxurious dinner menu at the “Salon Linares”. At 330 Euros per person, guests will also enjoy the typical lucky grapes at the bells of midnight. Book your stat at the Villa Padierna Palace Hotel G.L..
El Lodge, located in Sierra Nevada, the famous and unique mountain resort in southern Spain is a brand new boutique hotel. Even thought is categorized as only 3-star hotel, El Lodge is part of the Marbella Club Resort so you can be sure to enjoy an elegant stay with top notch service and style. The NYE is celebrated with a spectacular dinner. 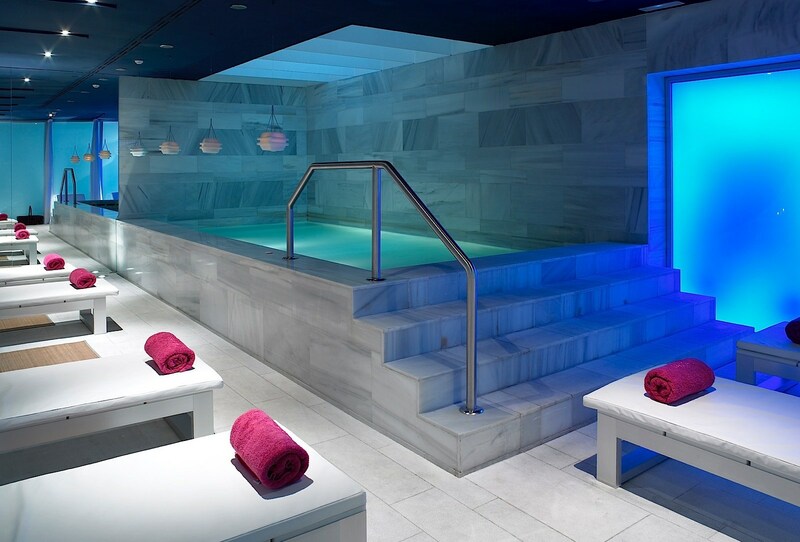 Guests can also enjoy the spa and the only heated outdoor pool that exists in Sierra Nevada. Sun, heated pool, snow and champagne… What more can you ask for? Book your stay at the Hotel El Lodge Ski & Spa. Located in the heart of Granada, this 5-star hotel will take you back to the 19th century. Guests can experience the real Moorish-Spanish city in pure luxury. The hotel is preparing a Gala Dinner for the last night of this year and those attending will get free access to the Bodyna Spa in order to get off to a fine start in the new year. Book your stay at the Hotel Hospes Palacio de Los Patos. This 5-star boutique hotel is the highest hotel in Europe with direct access to the ski slopes of Sierra Nevada. There is a ski-chair on the doorstep of the hotel. The Nammu Spa will delight and relax the guests for the upcoming year. Book your stay at the Hotel Vincci Hotel Rumaykiyya. This 4-star hotel has all the facilities and services as a high-class hotel. If you are a ski lover, then this venue is perfect for you as it is located barely 100 meters away from the ski lifts. The Yhi wellness spa has a Finnish sauna that will totally relax you after a day of skiing and for the New Year’s Eve they are offering a special buffet and after dinner guests can participate in the typical Spanish tradition of eating 12 grapes, one grape on each chime of the clock. The night will be accompanied with live music until the early morning. Book your stay at the Meliá Sierra Nevada. 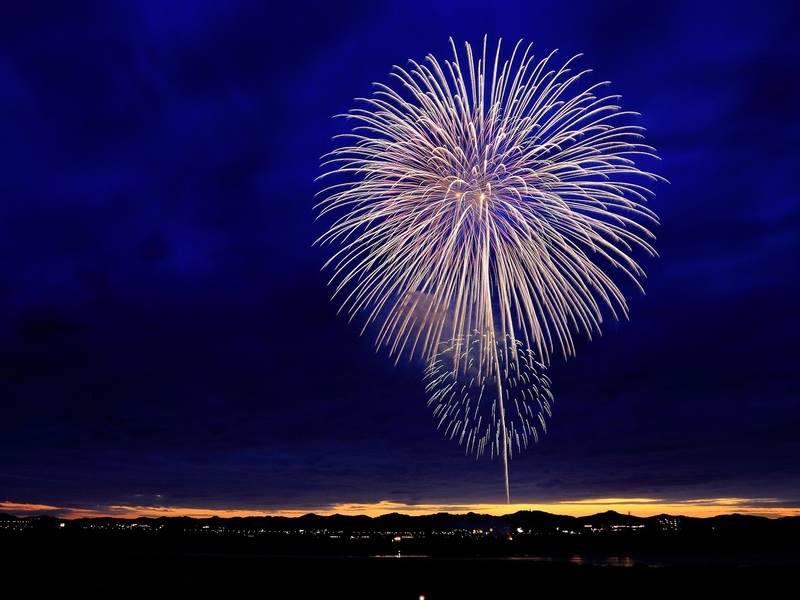 We hope that you will have a wonderful vacation and take the opportunity to wish all our readers and advertisers a Happy New Year!